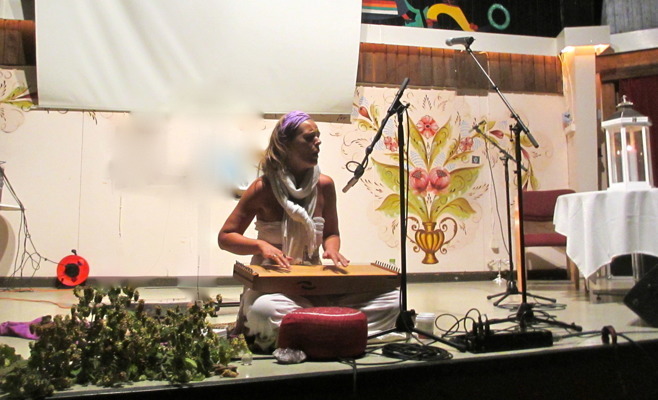 Live Recording performing, Song - Guru Dev " Inner Presence"
Your voice, your voice reaches me deeply. "Aschima´s beautiful voice touch and awaken the heart and heal grief "
Purifies and gives energy and joy. 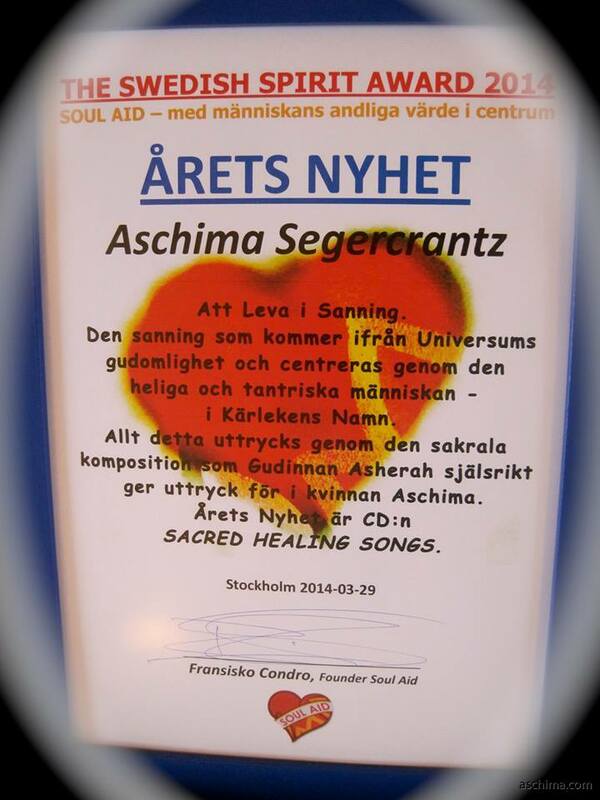 Words of Thank U, for the CD Sacred Healing Songs: "
"Best Aschima - You are wonderful and I love your CD! It goes on repeat here at home." 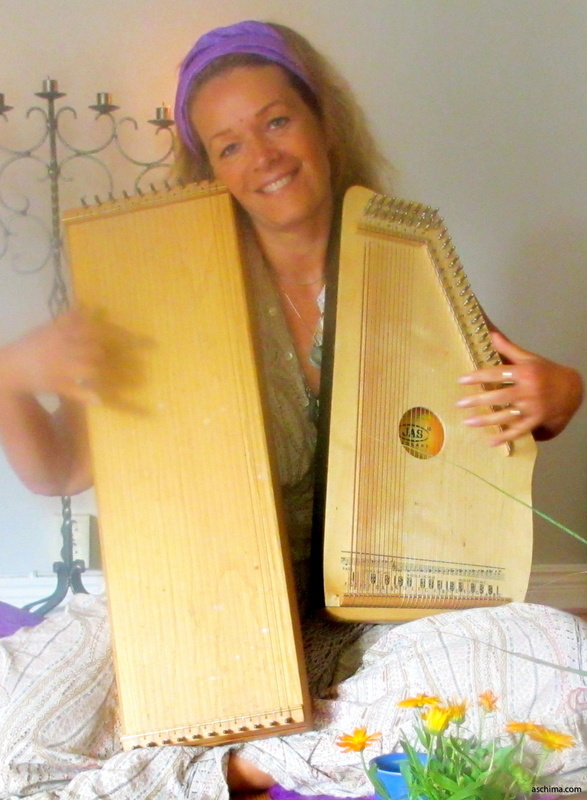 "My children love your music, especially my oldest daughter who has put her hands on it. Thank you for creating such a loving music that you share with you!!!! "Music that makes me feel the presence of my inner self. A soul dancing, swinging rhythm and expands around my physical body. The rhythm and the song awakens something deep inside me that feels both coming from a distant place while the place feels very natural and at home. The music evokes memories of past lives. I leave here and now and just is. I sense the presence of animals and nature but also the city and people - Sacred healing songs - music for my inner self." ”Magical healing music in sounding tones that touches the souls meeting with the self! The voice is a sacred healing for body and soul. I use the music often for spiritual training! I listened to your music. It´s so wonderful, I like it!!!! 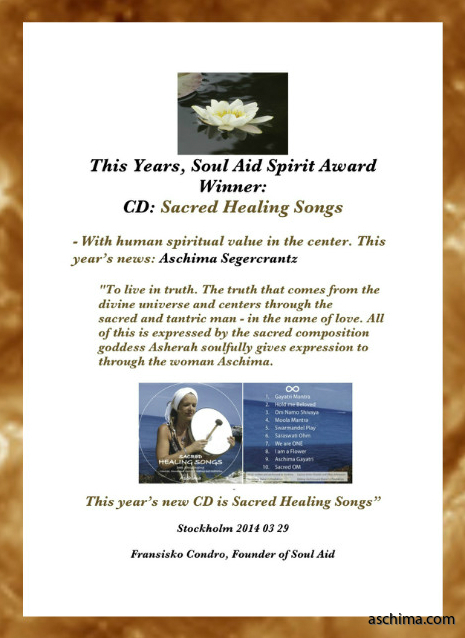 This Years, Soul Aid Spirit Award Winner: CD: Sacred Healing Songs. 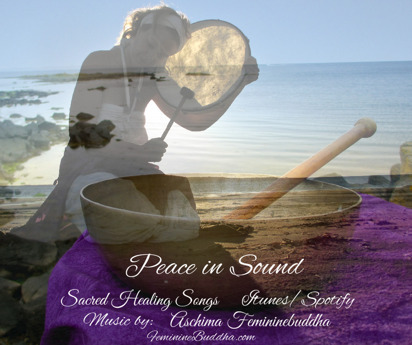 ”The CD: Sacred Healing Songs can be Downloaded on Itunes. 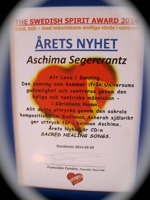 You can Order the Full CD, that is Reiki Initiated, from Aschimas mail, buy it Through Vattumannens Bookstore in Stockholm. The money that Aschima gets for the Music is invested in to create more experiences of homecoming through meditative sound and singing as Tantra. 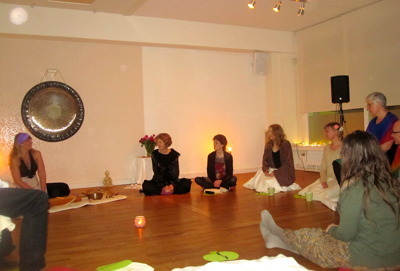 Healing Concert and mantra singing. Aschima. Sound from Source. For Healing an inner Peace. 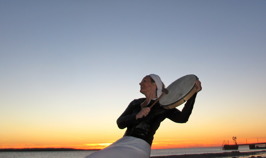 Through the music a deeper connection to Sacred Presence, Aliveness and Truth is experienced. Heart Opening. Connection between your personal self and the nature of Spirit, Healing Source, Deepening your presence and contact. Elevating Spirit. 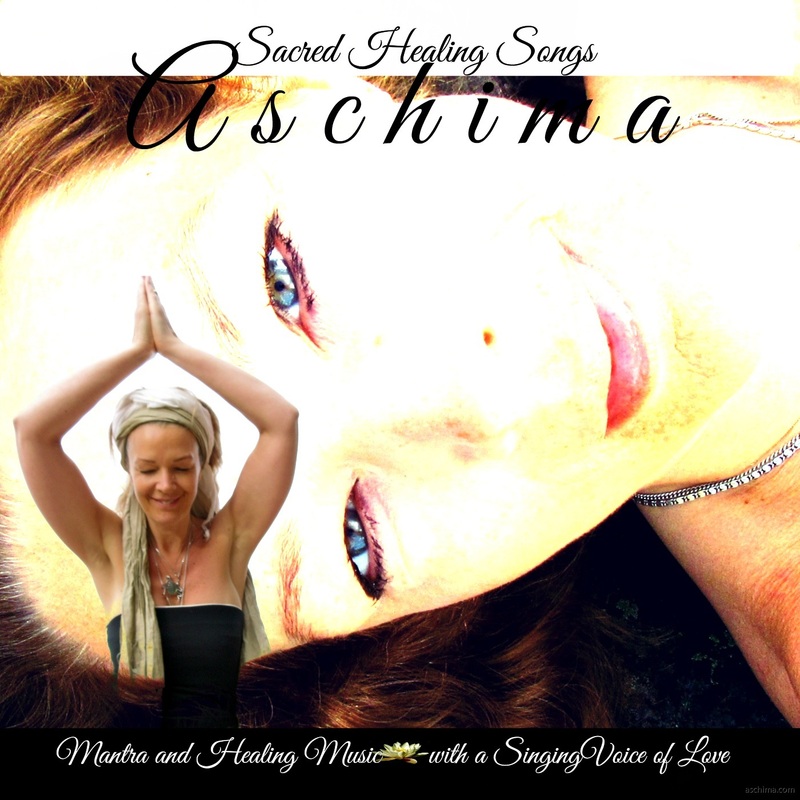 ASCHIMA is a Singer and Songwriter. 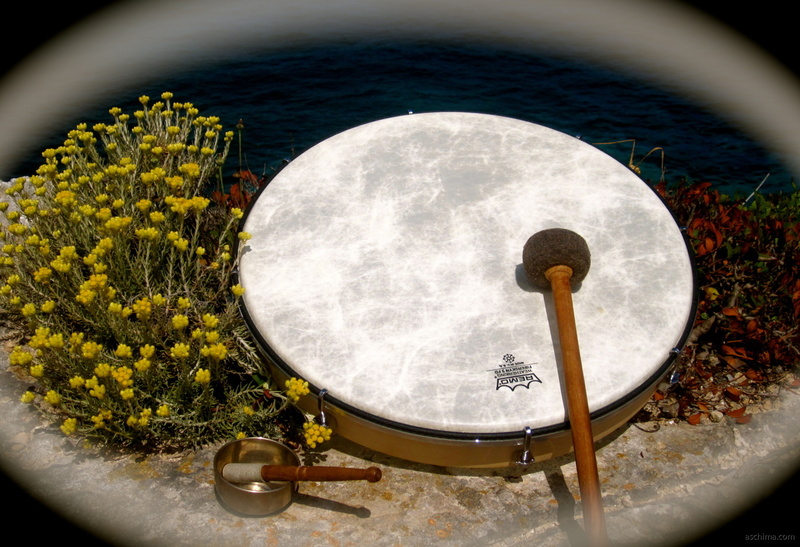 that creates, Tantric Sound - Sound and music created from source. Sound for healing. It is Intuitively created in direct contact with ONENESS, inner Peace and Bliss. "Silent" sound. Sacred voice. 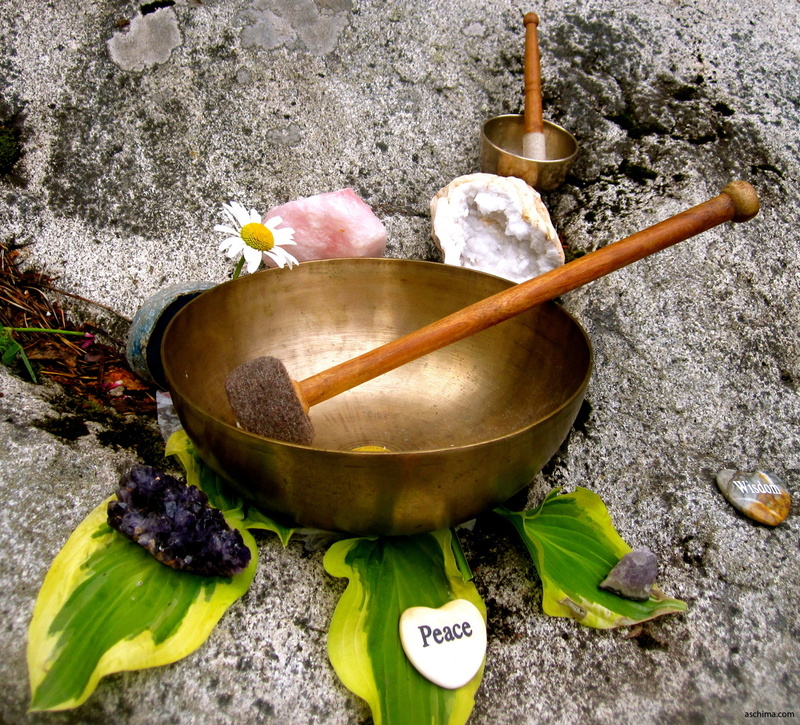 Tonehealing. 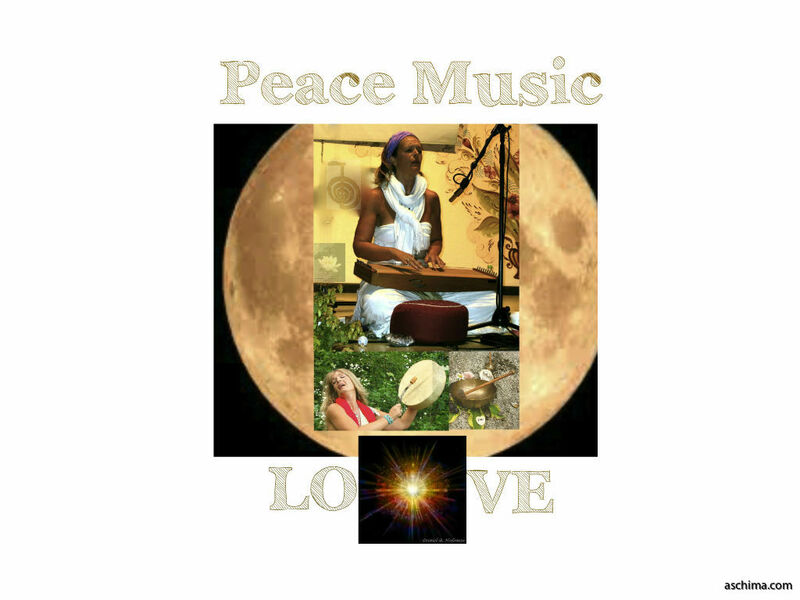 Producing sounds from wholeness to heal Mother Earth and create peace from pure energies, unconditional love. 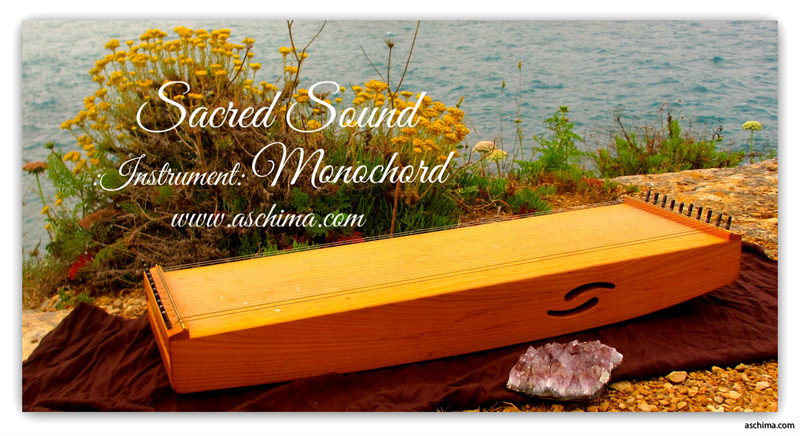 Aschimas words: "The music I create, comes from the inner source of healing, that exists within every living essence. It creates a reflective mirror to the listener for him/her to experience his divinity and inner healing starts. 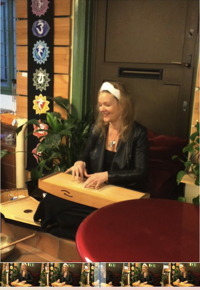 It is penetrated with meditative silence and joy that comes from the freedom of being and tantra to connect with the living dance. 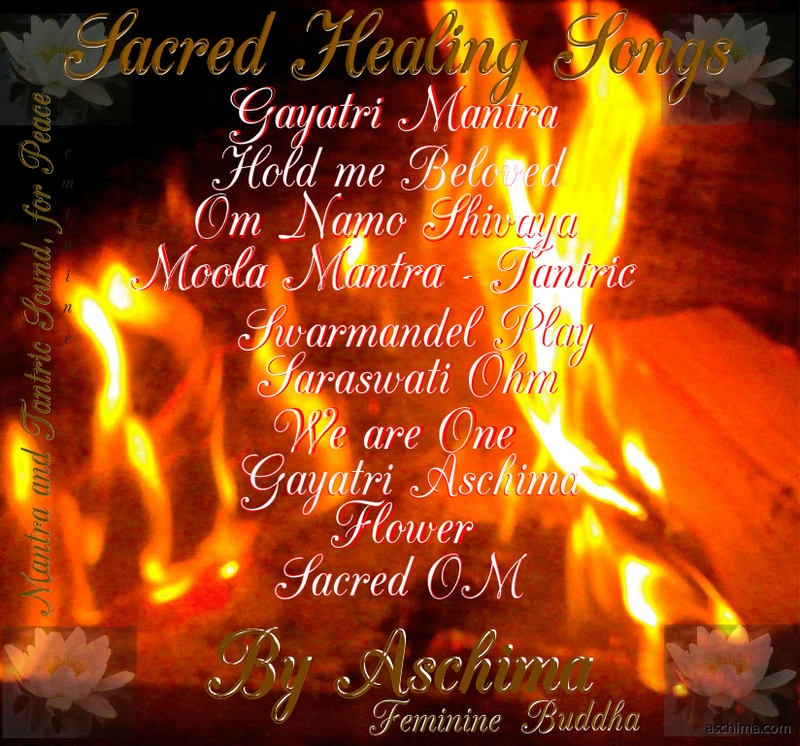 Protecting your aura and purifying stagnated energies, through listening to the music. When you buy the music on Itunes my work is being continued to create more healing music. Thank You! 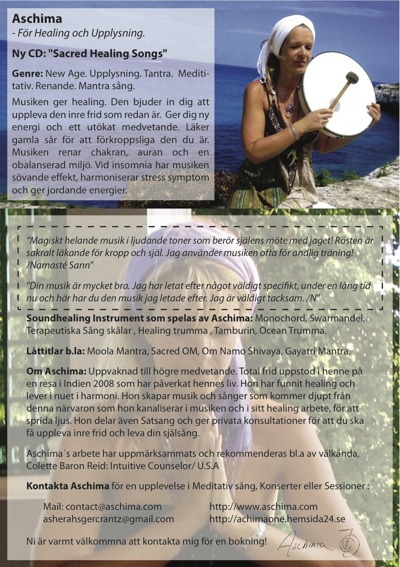 Give me Your full name and address on Paypal information and the CD is being send to you within Sweden.